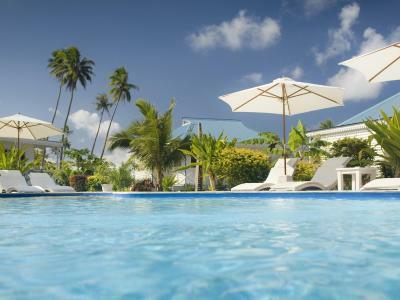 Lock in a great price for Opoa Beach Hotel – rated 9 by recent guests! Property provided an overall beautiful setting, most comfortable accomodation, wonderful staff and a lovely reception area-restaurant featuring outstanding food. The pool was great. The entire experience was out of this world. Eric the host was wonderful and very accommodating. The food served at the on site restaurant was excellent. 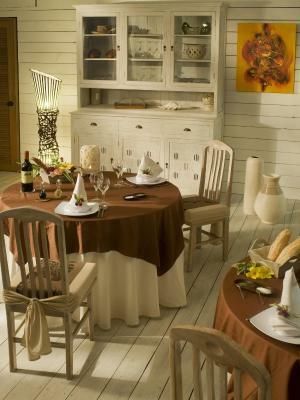 The resort is casual yet has a European formality that is very nice. 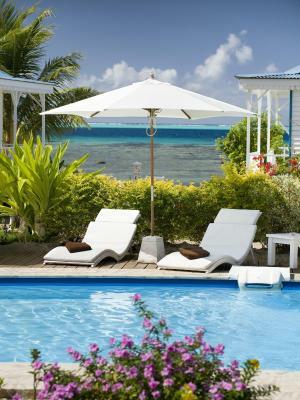 This is an ideal location for the discerning traveler looking to get on local tome before going on to further explore French Polynesia. 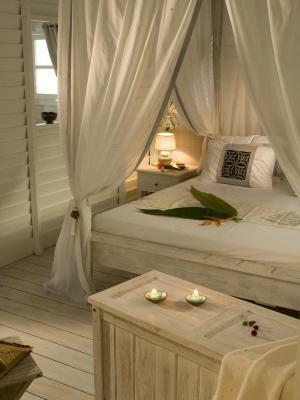 Awesome for honeymooners. Very low key with a great restaurant. No noise. Very hushed staff. Many day trips are offered. But if you are looking for a party scene this is NOT the spot. Probably not a great place for teens or very young children. Also, if A.C. is a must you are out of luck. 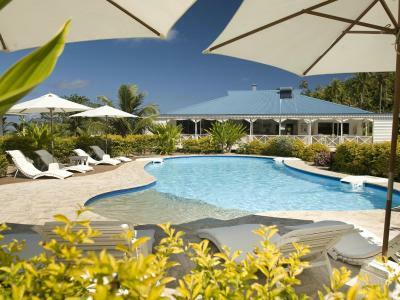 But the location on the lagoon is ideal and the breezes and fans keep you cool. Being on honeymoon, we absolutely loved Opoa Beach Hotel!! It main building and chalet's are in white, decorated with a sense of holiday, romance and relaxation. We loved the fact you need to take you shoes off to enter the main building. Built a long time ago by Eric and his wife, they still run it now. Whilst Eric is the perfect host. He will come and catch up with you during pre-dinner drinks. Whilst his wife is head chef and my wife and I cannot thing of any meal we had anything negative to say about. In fact every dinner was above average. With a pool onsite, day trip that was superb, plus a private island to getaway to for free (Opoa will speedboat you there and back), we were super happy every day. Whilst on the private island we saw a mother and calve whale playing, truly amazing! Lastly, they've got a fab dog onsite too. I forget his name now, but he's super cute and you'll see him rolling around in the mud often, which puts a smile on your face! 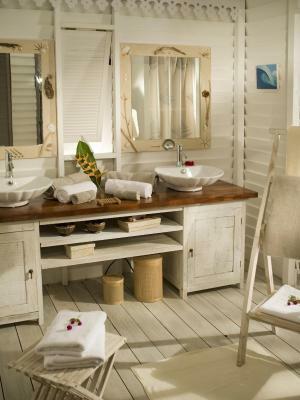 Beautiful and comfortable accommodations. Great coral garden just off the hotel by a motu easily accessible from the hotel. 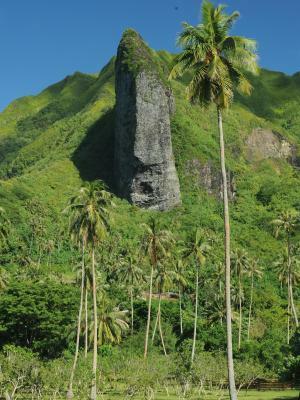 Relatively close (1.5 hours walk) to one of the best ruins of ancient Polynesian civilisation. Delicious restaurant, worth eating there everyday. Overall, the place is nice, in front of it has a beautiful Motu where they accompany you for free! Beautiful cottages, big, spaceous and clean. Beautiful front yard with palmtrees and ocean view. 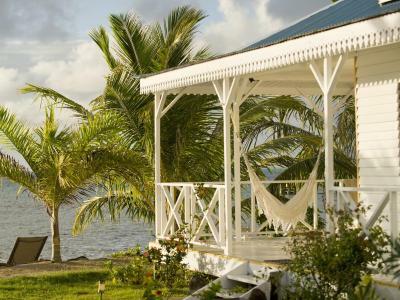 The most cozy accommodation we've found in our trip to Polinesie. Our bungallow with sea views was amazing, we could admire astonishing sunrise moments and Eric and his team take care of us in any time. Thanks for all, we will recommend Opoa Beach surely to our Catalan friends. The food was excellent. The croissants were the best I have ever had. I loved the beachside bungalow. the extra money is totally worth it. Opoa Beach Hotel This rating is a reflection of how the property compares to the industry standard when it comes to price, facilities and services available. It's based on a self-evaluation by the property. Use this rating to help choose your stay! Opoa Beach Hotel is a 10-minute drive from Marae Taputapuatea, and a 20-minute drive from Faaroa Bay, the deepest bay in Polynesia. 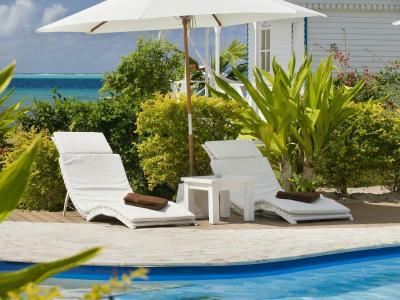 Offering great views of the lagoon and the coral reef, this luxurious accommodations offers an outdoor pool, free parking on site and free Wi-Fi in public areas. 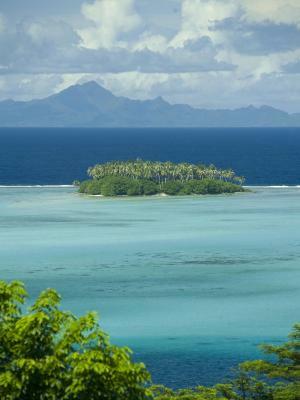 The hotel is located on South of the Island of Raiateak, a 45-minute flight from Tahiti. 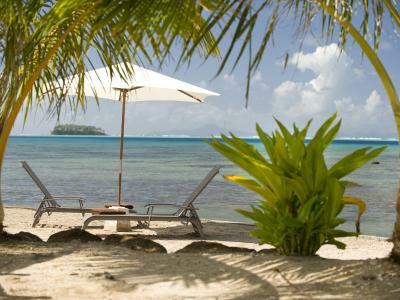 It is a 40-minute drive from Uturoa and the Raiatea Domestic Airport. 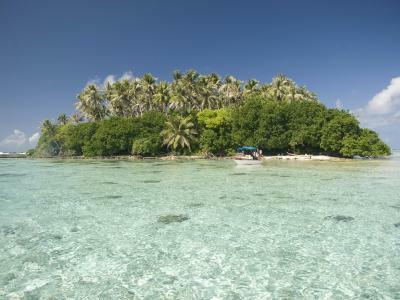 The staff at the tour desk can assist with arranging day tours to Tahaa Island. 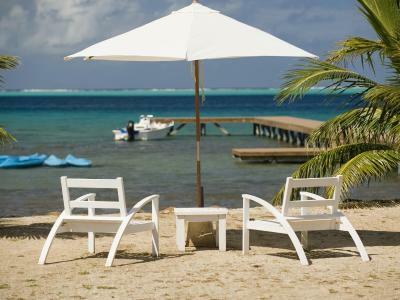 Guests of Hotel Opoa Beach can take part in a wide variety of activities, including kayaking, snorkeling and fishing. An in-room massage service is available at a charge. 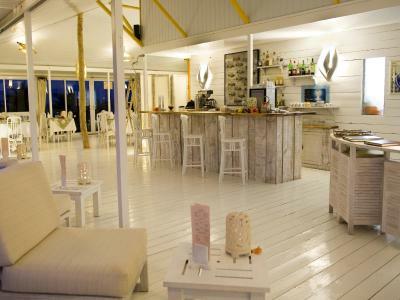 Overlooking the sea, the on site restaurant serves fresh local cuisine. Drinks and light snacks can be enjoyed at the bar. When would you like to stay at Opoa Beach Hotel? 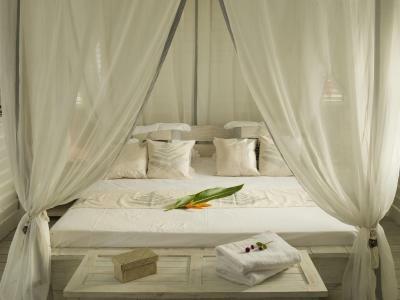 Has a separate bedroom with a four-poster bed. Comes with a deck and a separate living room. Features views of the garden. Has a separate bedroom with a four-poster bed. Comes with a deck and a separate living room. Features views of the ocean. 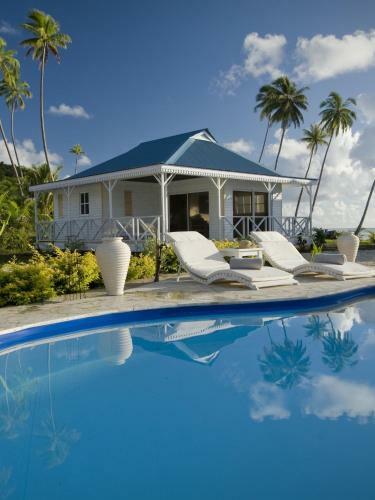 House Rules Opoa Beach Hotel takes special requests – add in the next step! One older child or adult is charged XPF 5700 per person per night in an extra bed. One child from 2 to 12 years is charged XPF 2280 per person per night in an extra bed. Opoa Beach Hotel accepts these cards and reserves the right to temporarily hold an amount prior to arrival. There is an airport transfer to and from Opoa Beach Hotel. Please inform the hotel in advance if you want to use the service, using the contact details found on the booking confirmation. The hours spent at the motu were great. Perhaps breakfast could have been a choice between continental and eggs, bacon, toast, etc... However it wasn't enough of an issue to raise with Eric. I only write it here so if you book and you prefer a type of breakfast, you know to put in a special request. Otherwise pretty much perfect. As it’s secluded prepare yourself in advance. There aren’t many means of transportation unless you rent something. You may be stuck if you don’t prepare your days properly. Alternatively, if the days are good you can just snorkel and kayak all day. The restaurant is a little bit too expensive. It is very far from the main city, even though the car is in an uncomfortable position. The maids do not speak English. The bungalow has so many cracks so many mosquitoes come in. As soon as we arrived, at 7 pm, after a long journey, instead of giving us the keys to the room, the manager (owner's assistant) started explaining all the menu (2 options) and made us choose what they wanted for dinner .. the 3 option was to stay fast because there is absolutely nothing for miles !!!!! I felt a university college of nuns, especially the day after when the morning break my morning talk with my mother to ask if I wanted breakfast and eventually choose dinner !!!!! Only for this reason I chose not to have dinner there !!!!! 😑 Normally at home I buy several things to choose what to eat at the moment ... imagine the restaurant !!!! 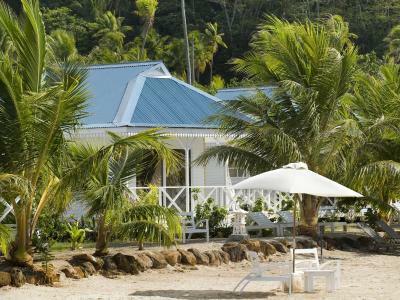 The resort is a bit remote from town but that is part of its charm. 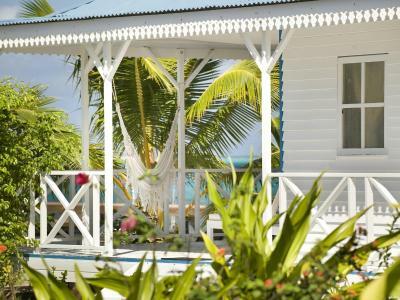 The bungalows are very charming and provide good space for relaxing either inside or on the porch. The windows are open to the outside (no screens) with no air conditioning. The beds are screened to protect from mosquitos however the fans provided are necessary to stay comfortable, which makes using the bed screens difficult. Owner and staff werent the nicest, not flexible at all. Needed to order food 1 day in advance. If you didnt, you cant eat. There is no card to choose from only breakfast at 7.30 0 lunch at 12 and dinner at 7. If you forgot or dont know what to eat, forget about it there is no other food they offer. You need to rent a car to be able to move around because the place is idyllic but a bit isolated. At times the bugs were annoying. Termites in the bedroom. Completely lost in the middle of nowhere. Nice bungalows, but doesn't worth at all 280€ a night. I would call it, Luxious camping. 50/60€ MAXIMUN. Very disappointed, it was for our honeymoon. Restaurant is excellent but very tiny portions.